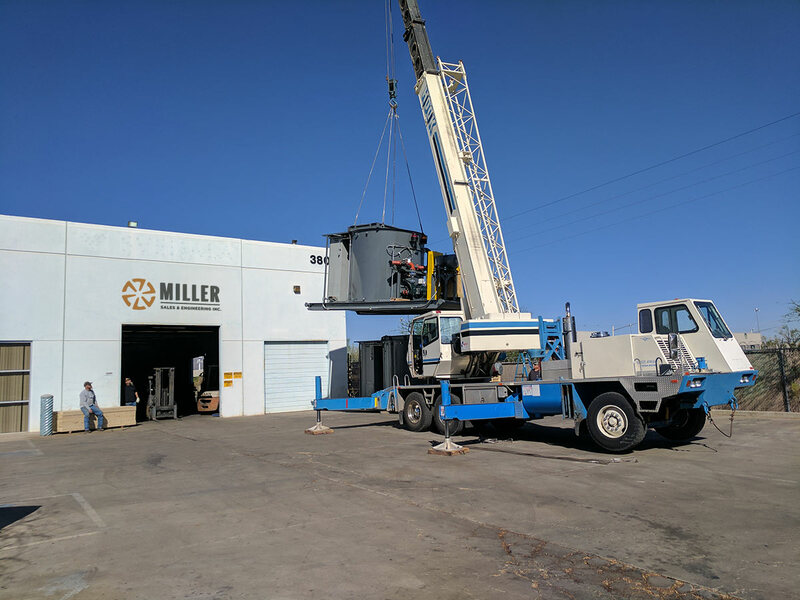 About us – Miller – Sales and Engineering inc.
At Miller Sales and Engineering, we provide consulting services, feasibility studies, and project design utilizing over 50 years of experience over a wide variety of projects. We specialize in the design of water supply, mine dewatering, tunnel construction dewatering, slurry pumping and mine backfill systems. These designs may include dewatering wells, booster stations, portable pump skids, permanent pump stations and barges. We also provide engineering services for structures, skids, walkways, platforms, tanks, and pipelines. In 2018, aiming to offer the most complete selection of product and service, we became a division of Technosub, a benchmark in North America in industrial pumping solutions, letting us grow our leadership position, driven by the collective power of our joining force and expertise. Together, we are dedicating to creating and innovating and are passionate about reaching unprecedented goals. Let us be a partner to solve your pumping challenges, at every stage of the process, anywhere any time. See our achievements or contact us for any information. Create, manufacture and distribute innovative and sustainable pumping and water management solutions, for the industrial and mining sectors, in the shortest time possible. To be a world reference in industrial and mining water management sectors. Flexibility is firmly rooted in our culture. It enables us to face the unexpected and adapt to our ever‑changing industry and environment. We are always reassessing and reshaping our organization to actively meet the needs of our clients and employees on every level. We actively embrace change. We are dedicated to creating and innovating. We are driven to achieve results and excellence with energy and urgency, and we are passionate about reaching unprecedented goals. Commitment not only fuels the way we design and build our products, but also how we serve our clients, with an eye on forging a sustainable, value-adding partnership. We favour our employees' involvement and development, leading us to exceed ever-increasing standards with pride and passion. We want our operations to be built on a foundation of trust. It must permeate everything we do and manifest itself in a spirit of cooperation that extends to all of our activities. Our customers are valued and treated as true partners, while our employees are seen as our ambassadors, and we show them the utmost respect and consideration.